Which stories no longer appear in SERPs? The BBC has revealed 12 news stories that have been granted the 'right to be forgotten' by Google. It means that the pieces will no longer appear for certain search terms, although BBC technology reporter Edwin Lane included links to all of them in an article this week. Google has not informed the corporation who requested their removal, and would only confirm that the stories had been removed. Perhaps the most high profile of the dozen victims is a blog written by then-business editor Robert Peston in 2007, which centres around a negative appraisal of former Merrill Lynch chairman Stan O'Neal. However, in Peston's subsequent investigatory blog he indicates that it was not O'Neal who requested the removal, and that it was likely to be something in the comments section that had prompted someone to request the article's disappearance back in July. It is not known whether the defendants in these cases were responsible for the removal requests. Elsewhere, arguably the strangest takedown of the 12 was a 2009 magazine piece which saw then-Jerusalem correspondent Tim Franks discussing where to find the best hummus. 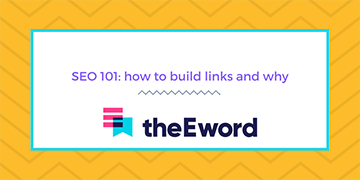 Carla Fazakerley, head of SEO at theEword, said: "What we can see from this is that without knowing who requested an article's removal, it is very difficult to draw any clear conclusions. As Robert Peston's case shows, we must not assume that the person mentioned in a story is responsible for these requests. What's interesting is that whoever asked for the 'right to be forgotten' has actually ended up drawing attention to these stories all over again, in some cases dredging up incidents that happened over a decade ago."